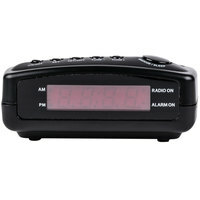 Each hotel radio comes with a built in alarm clock, as well, so guests can listen to music and set an alarm on the same device. 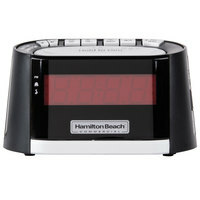 Many of these hotel alarm clocks are also compatible with various iPods and MP3 players, allowing people to plug in and charge their own devices, while playing their own choice of music! 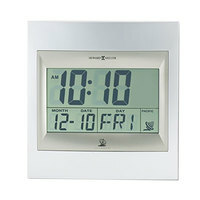 And, since these alarm clocks feature digital displays, guests of all ages can easily read the time. Also make sure to check out other great items from Conair, Hamilton Beach and Howard Miller. 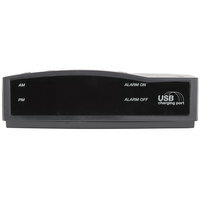 Whether you’re looking for a basic hotel radio with a day alarm, or you want a more technical model that charges iPods and other devices, we have an option for you. 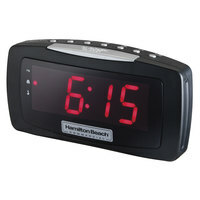 These alarms also have convenient sleep buttons, so guests can snooze their alarm for extra sleep. By providing your guests with entertainment and the convenience of keeping track of time, they’ll have a more enjoyable stay at your venue. For more hotel amenities, be sure to take a look at our selections of hotel room coffee makers, folding luggage racks, and hair dryers. 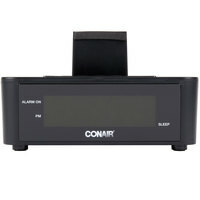 If you're wondering where to buy hotel room alarm clocks / radios, we have a large selection of hotel room alarm clocks / radios for sale at the lowest prices.